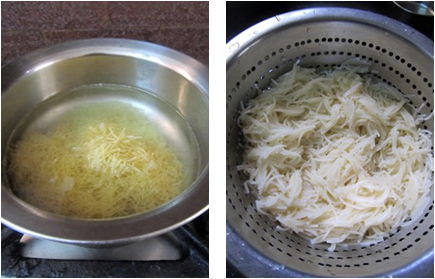 In a bowl add 3 cups of water, little salt, 1 sp oil and allow it to boil, when it start boiling add the vermicelli and cook for 3 to 4 mins. 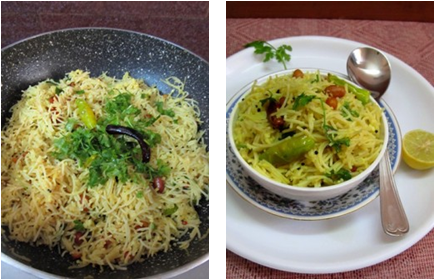 Once semiya/vermicelli is cooked then turn off the flame and pour into a strainer to drain water, pour cold water over it and keep aside. 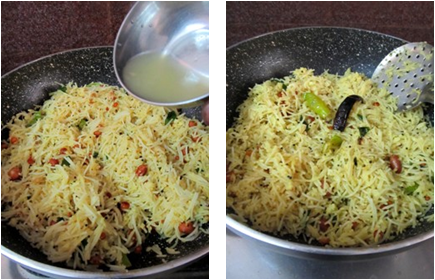 Heat remaining oil in a pan add popu ingredients and fry, once done add peanuts, curry leaves, chopped green chillies and fry for a min, then add grated coconut, turmeric powder and stir. 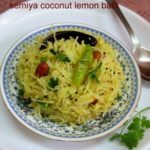 Fry the coconut on low flame for 1 min, then add boiled vermicelli, enough salt and stir gently until it mix completely. 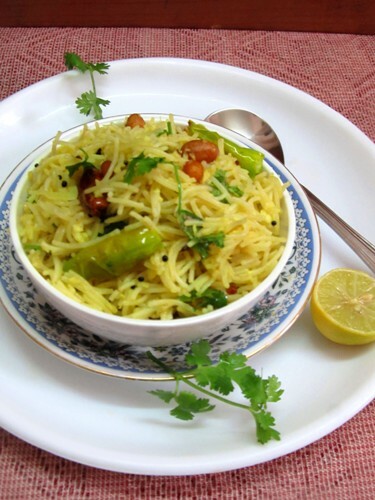 Mix well and let it cook for a couple of mins, now add lemon juice and mix everything well. 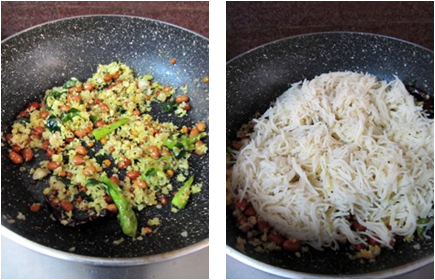 Finally add chopped coriander leaves and stir well. 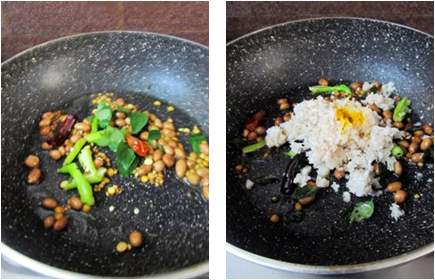 Then turn off the heat and transfer into a serving bowl. 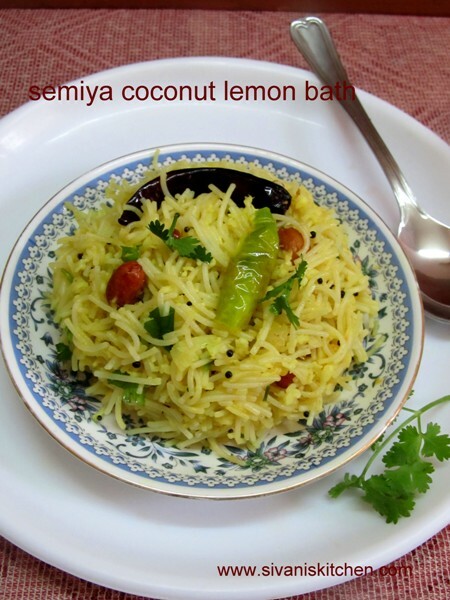 Now vermicelli coconut lemon bath is ready to serve.